Imagine. A job opens up … the job opens up. You have the experience, ability and traits to fill the position and succeed. Your life’s calling has brought you to this point in time. You do not apply for the job; it does not work that way. You and your peers meet to discuss what you all want in your next leader. You understand that your organization stands at a crossroad. Straight ahead continues the same path your organization has travelled for hundreds … thousands of years. Other paths branch off into less travelled country. Some of your peers desire to walk down one of those paths and explore. The one elected to fill this leadership role will have tremendous authority to choose the direction for the organization. The weight of the position is without equal. All organizations want and need to grow; in recent years your organization stopped growing and other groups / interests are filling the void. This new leader will choose a direction for his organization and work to hold all facets of the larger group together. The goal is to grow again and fulfill the mission statement that stands at 2,000 years old. No pressure. Would you want this leadership job? Congratulations, your peers elect you and the job is yours. You are the new Pope, leader to over 1.2 billion Roman Catholics worldwide. Now that is a leadership role. I stress the importance of the Pope as a leader, but at its core it is not too different from your leadership position. The same leadership qualities apply. 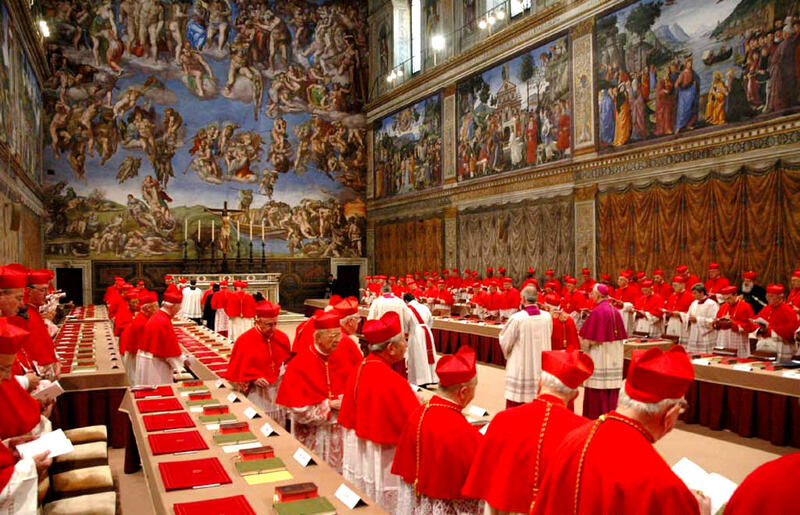 In fact I trust the Cardinals now locked away (as of this writing) are considering the overall leadership ability of their newly elected Pope. I read one online comment stating that the new Pope would need the following leadership traits: wisdom, courage, humility, fairness, honesty, vision, integrity, virtue, sincerity, judgment, intellect, fluency. Also love and holiness. A list for a Pope and for every leader … with love and holiness maybe standing apart. Although leadership and love is a topic to itself (for another day). Believer or not, Catholic or not – it will be interesting both who is chosen and how he operates as a leader in this does-it-really-need-to-be complex world. My title for this post, Habemus Ducem, is a play on the first words we will hear once there is a new Pope … Habemus Papam, we have a Pope. Habemus Ducem, we have a leader. I would add one more trait that the new Pope shares with each of us as leaders … a spirit of WeMoveTogether.